I often look at (moderately) inclement weather as an opportunity… a chance to likely have my choice of spots and a chance at solitude. Plus... who knows what the fish might do under such circumstances. Got out before the snow and dodged the drizzle and wind and had a great day. 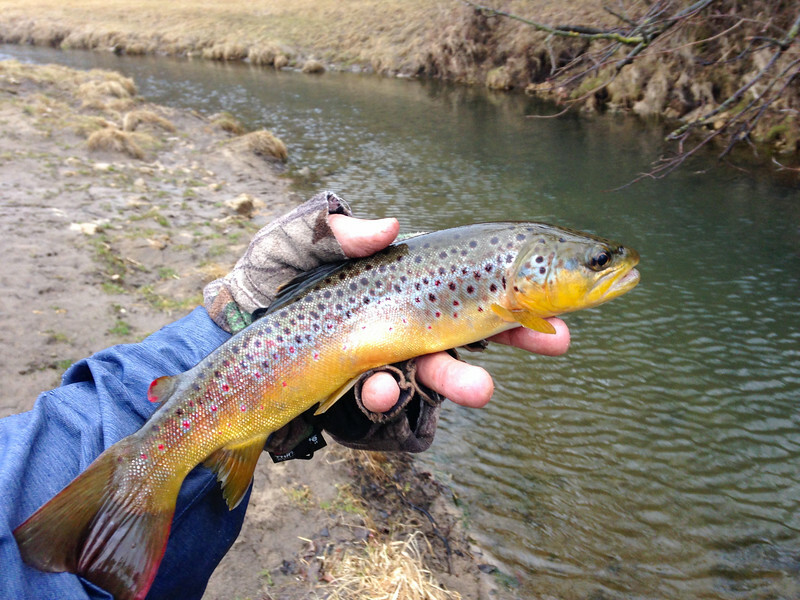 Was hoping the rain/snow would stay north and west of the Grant County streams that I wanted to hit and it did for the most part until after I was done. The wind was steadily annoying (for casting) and it drizzled the entire time with some intermittent rain. Wearing full waders and my rain coat along with layers though, I was completely comfortable. 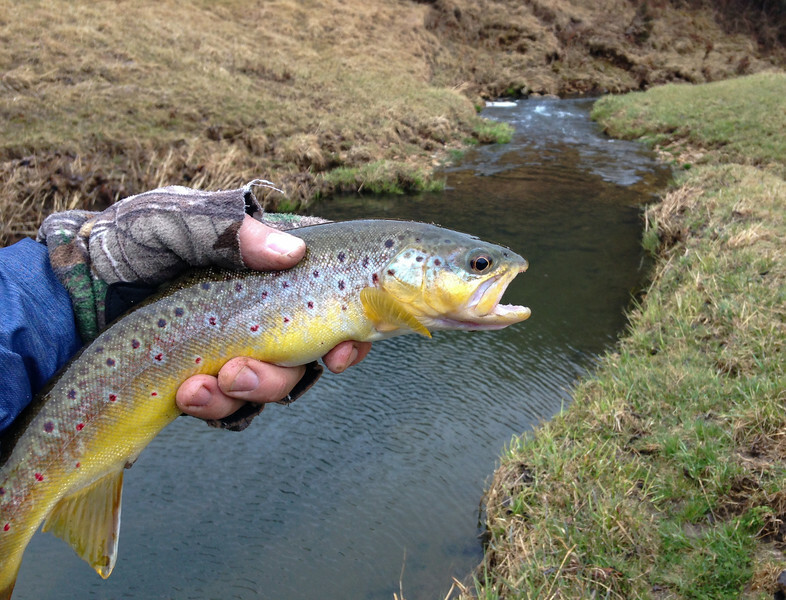 Started at the lowest end of trout water on a big stream/small river and despite nice deep pools and runs leading into them (HI stabilized), was not getting much of anything. Had started with the black bodied/gold blade. Tried a greenish body with a silver/black blade (Tiger Black) and then all black and still not much going on. Couple short strikes and maybe a little fish or two on and lost. There should be fish in these spots. How about orange, I thought. Might as well give it a shot. I had bought some orange PMs – although they're called Copper Dots - a while back coz I thought they might come in handy at some point. First cast – boom, fish on. Got one on the first cast at the next run also. Fished back to my start point and got 7 or 8 average browns. Was a bit disappointing as I had come to this stretch hoping for a chance at a large fish. Didn't even see one much over 12-13 inches. Still… finding the right color lure made all the difference and it held for the rest of the day and at least I wasn't getting shutout. Got back to the bridge where I had started to find a car and two guys starting to fish upstream. I can almost guarantee that we were the only 3 fishermen out anywhere within a 20 mile radius and yet they chose to fish at an entry point where a car was already parked. After the relative failure of the size structure of the fish I had gotten, I wasn't planning on fishing upstream anyway, but was a bit ticked. Said "Hi" and that was it. Saw their plates were from Jersey and I realize that they have to pile up at entry points out there, so maybe they don't know any better. Maybe they don't care. Whatever. Headed to a small stream nearby that I hadn't been to since January when Bill beat me to it. That day, all I found were his boot prints and no fish by the time I got there. This time… no Bill or anyone else in sight! 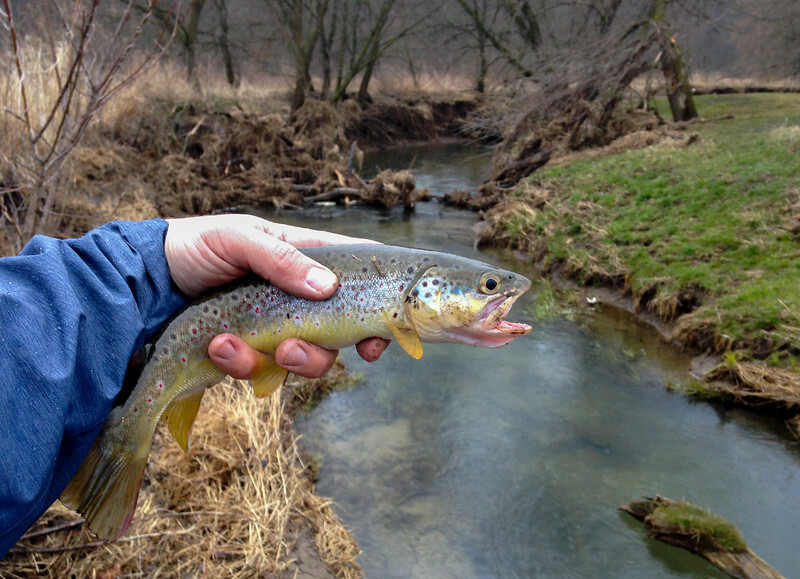 Fished downstream of a confluence with another stream in a gnarly stretch that I hadn't entered before. 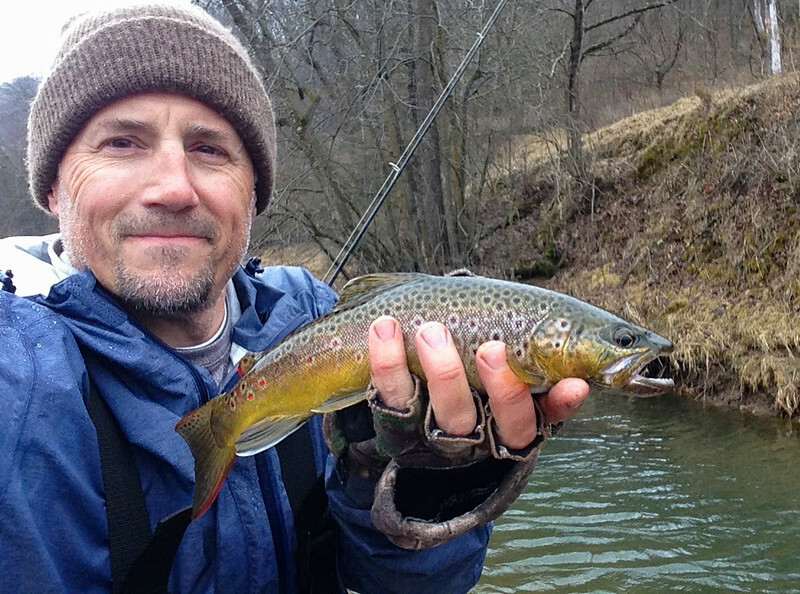 Got a few decent browns and enjoyed the tougher terrain and high banks, log jams and pools. Anyone could see that this dark little pocket under the submerged small log/big stick would be a good lie. The challenge was hitting it from the 8 foot bank I was standing on. Sure enough, got a decent brown and then lifted it the 8 feet to see red fins and yep… a brookie. Didn't put a tape on it, but looked to be maybe 13 inches. 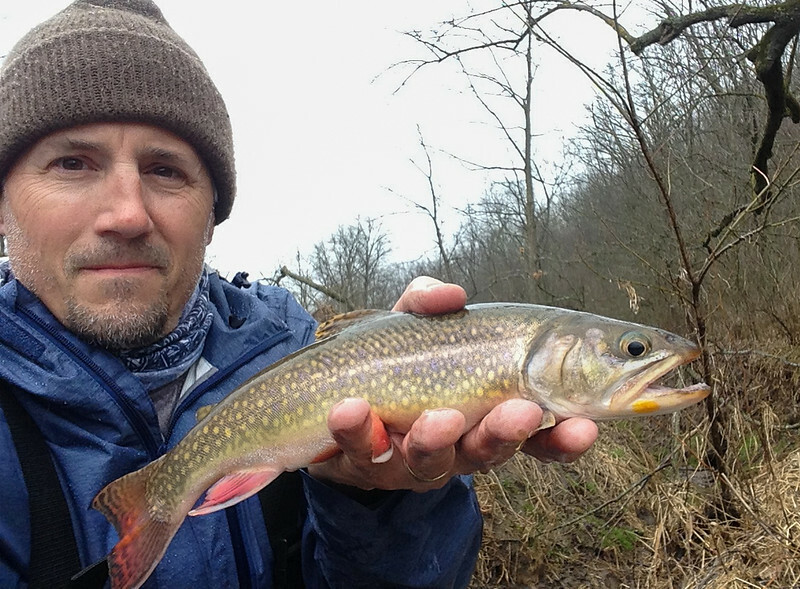 I've caught a lot of brook trout, but not many beyond 10-11 inches and most much smaller. This is likely the second largest non-brood brookie that I've gotten - the largest being 14 inches. Had to slide down the bank to release it but that was the easy part. Climbing back out in the damp conditions was an interesting and slightly nerve inducing endeavor. 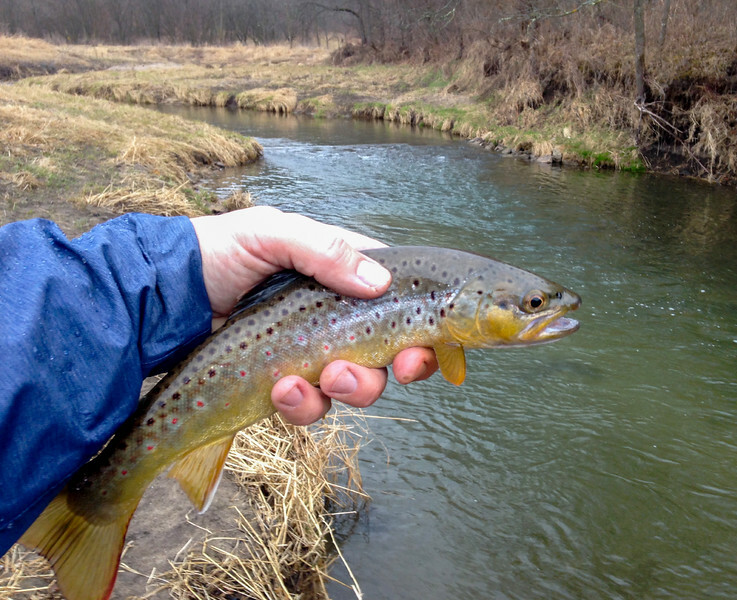 Went upstream to a pasture stretch and spent a good 3 hours there and caught many solid browns – a nice brown in this stream is 13-15 inches of which I caught several along with some smaller ones. This one in particular was a stunner in terms of coloration. My favorite fish of the day without question. 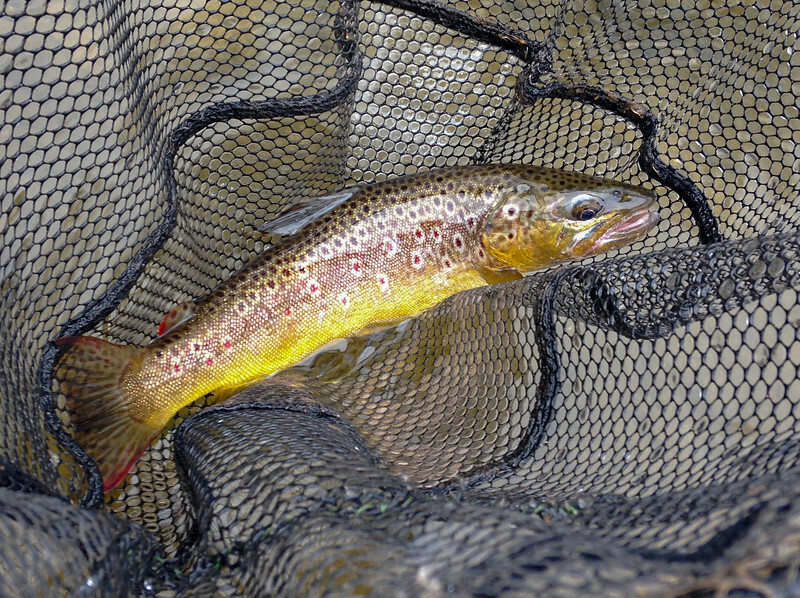 Love the magenta dots and along the fin edges and I saw this on several of the fish from this stream. Got a few brookies too, but my phone died before I got to them. Of note were two that were 2-3 inches. I certainly would never target these, but can't help if they bite on a size 9 PM. They are a good sign of natural reproduction and I was excited to see them. Wish I could have gotten photos as they were much more colorful than the bigger one I got earlier. As I was nearing the end of the productive water, I saw the Jersey boys driving along the road looking for an entry point. They probably saw me coz they turned around and headed elsewhere. Buh-bye! Was gonna finish the day at the upper portions of the large stream where I had started, but decided instead to check it out in its unclassified lower end. Had a decidedly wild and unpredictable feel to it – almost dangerous with its high collapsing banks and deep green waters under the impressive and imposing logjams. 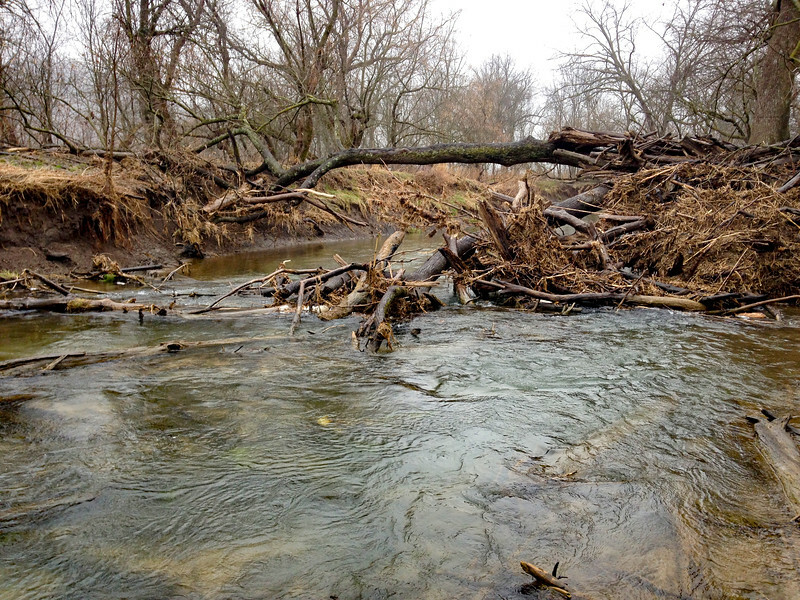 I've been to plenty of gnarly and wild stretches of streams, but never on such big water. 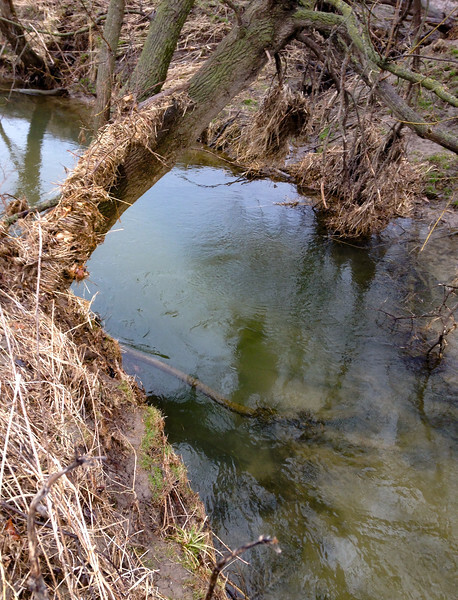 There were trout present throughout in runs and in pockets either under the deadfall or adjacent to it from which they would dart out to strike. Was tough sledding not only getting around and down to the water but also finding casting angles. 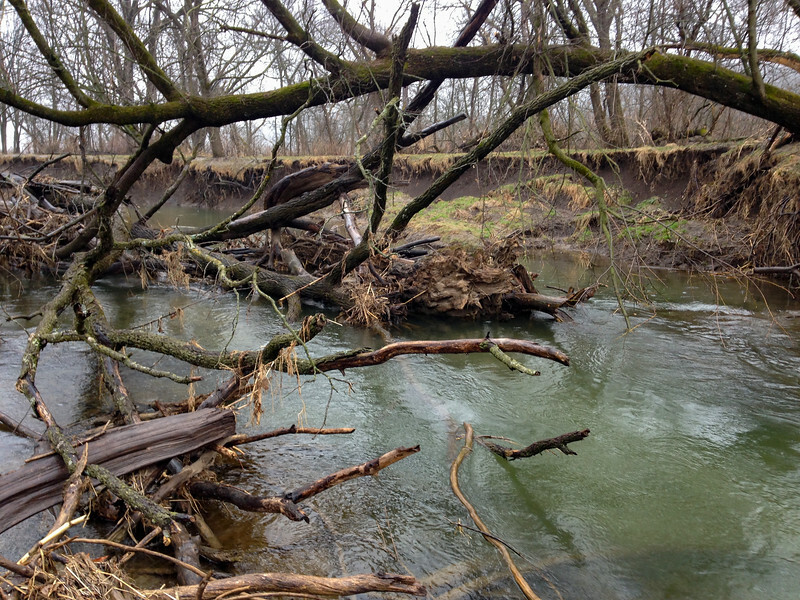 Had hoped to run into a large fish, but everything I caught or saw was 10-14 inches and most were lying in ambush near or under deadfall rather than sitting in deep pools that didn't provide additional cover – nothing in the easily castable pools... of course. This stretch has been on my mind since and I can't wait to go back and explore it further. Great day with over 30 to hand and a nice diversity of stream environments/difficulty level. 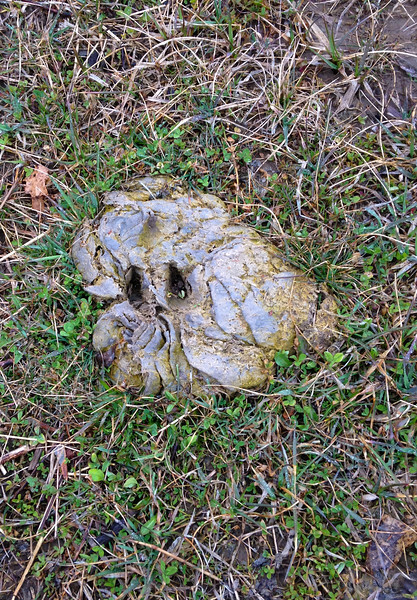 I call it Poop Cthulu. Probably should have brought it home and listed it on eBay. Would followers of Cthulu pony up for it like the Jesus in a piece of toast folks? I wonder if the deer bemoaned it squishing through its hoof like a person might with their toes. Bill is still in hibernation. However, his footprints will return throughout SW Wisconsin next week. 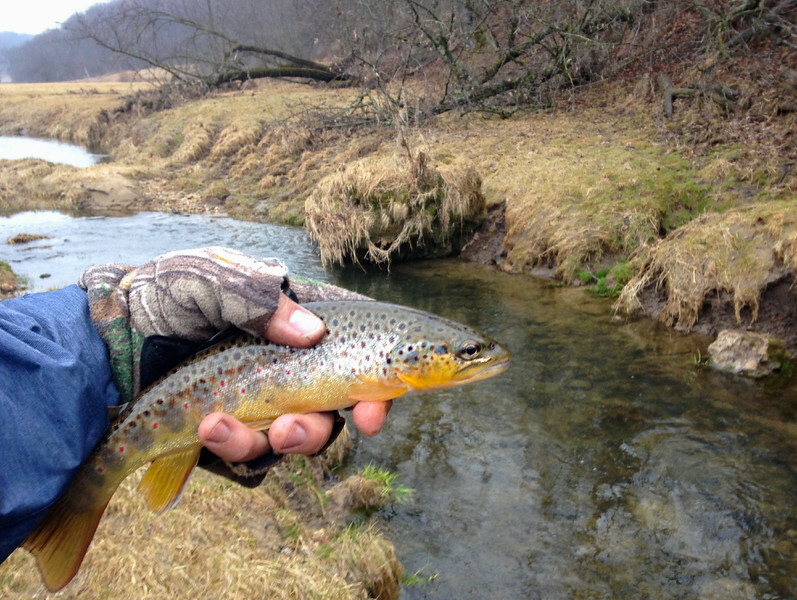 I might even visit that stream and see if I can find that fine Brookie you caught. There are bigger ones in there, I've seen em. 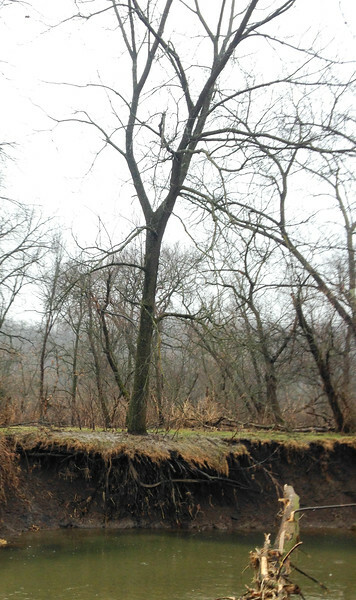 Those gnarly wooded/log jams spots look sweet to me. 2 users thanked mmalyuk for this useful post. It was an awesome area. Do you ever try grub tails or jig heads in spots like that? I believe you fish similar places? Some of these holes pretty much require some sort of a vertical presentation and a PM doesn't seem like the right tool and a Rap would seem to be even worse. I've never had much luck with twister tails or other grubs and trout. I wish I had taken more photos as there were a bunch of cool spots including a massive log jam in a 90 degree high banked corner with dark green water beneath it. Got a couple to strike right below me from the dark green depths. There were some fast moving wide flats that were crisscrossed with runs and little pools due to smaller random debris. There were trout throughout that section. There were also deep green unobstructed pools and I have to think that something will be in those some of the time. Like I said… can't wait to make it a destination instead of a quick exploratory stop at the end of my day. It's more work than pasture sections but a lot more interesting trying to figure out the puzzle and more rewarding actually getting one to strike. Gonna need to have the right cautious mindset as I almost stepped on a rim over air in that 90 degree corner. Not sure how that 8 foot potential fall into that deep green water would have turned out. Don't believe it would have been life threatening, but it could have been injurious depending on how I landed and if I landed on wood and my phone and key fob would have likely been casualties. A Frick's Fix might be just the ticket for those situations. I know several DTA members have used it quite effectively for Trout, including myself. It will ride hook up to avoid snags and is perfect for near vertical presentations. The only thing you need to watch out for is that it will wedge itself between rocks on the bottom if your not careful and is easy to break off when that happens. Should work fine with a spin rod. Gurth, best as I can tell from the photos and what you are describing I would throw raps and jigs there. I've had good luck with marabou jigs in tight pockets like that...dance them in front of a big trout long enough and they'll get pissed off enough to attack! 1 user thanked shebs for this useful post. 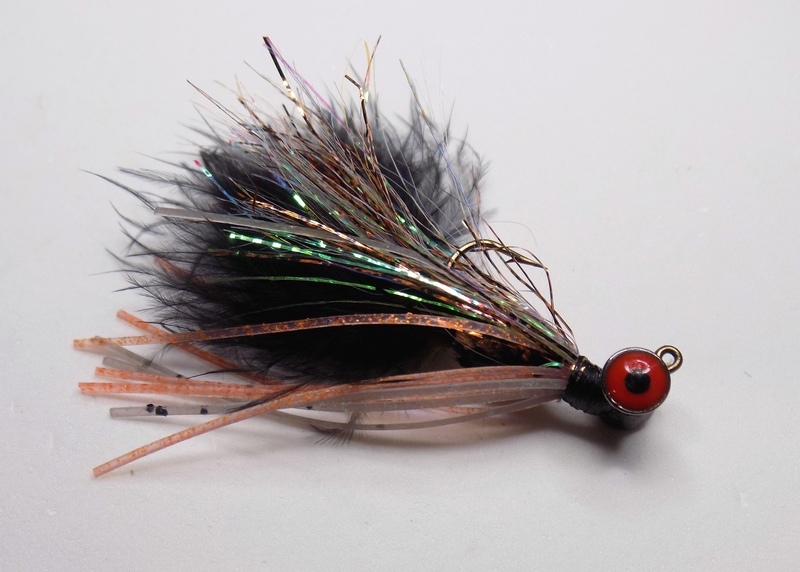 A jig is by far the most versatile "bait" there is. Hands down! Is it the best in every situation? Absolutely not. But, you can fish it in every situation. This page was generated in 0.708 seconds.